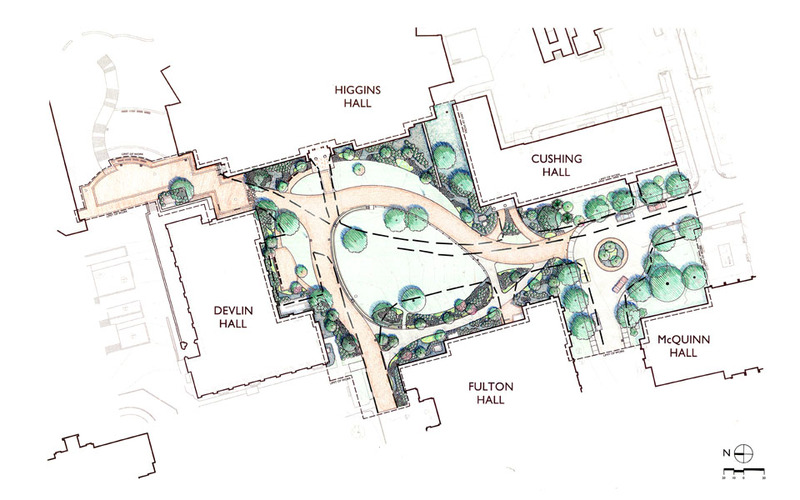 The expansion of Higgins Hall, Boston College’s science center, presented an opportunity to create important new pedestrian connections to connect the historic core to the expanding campus to the east. 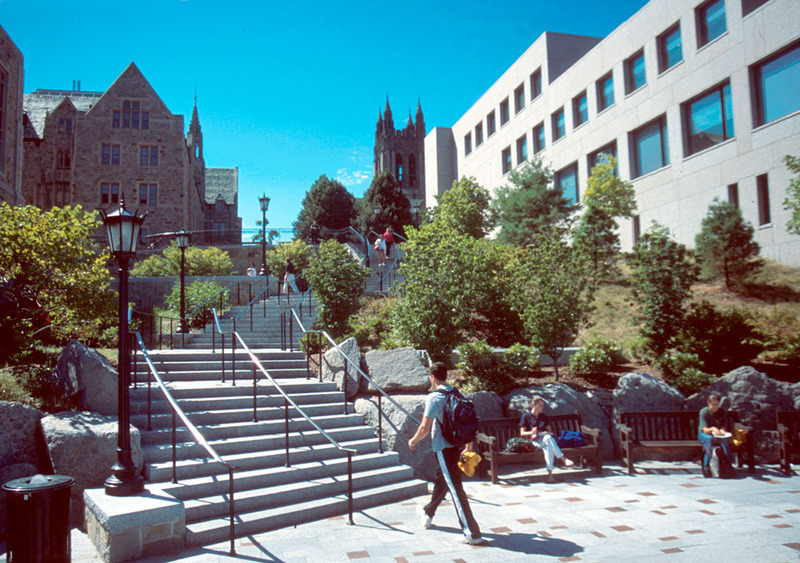 Adjacent to the Higgins Hall quadrangle, a new granite stairway with bronze handrails negotiates a sixty-five foot change in grade, linking student residences on the lower campus to classroom buildings and the O’Neill Library within the College’s historic core. 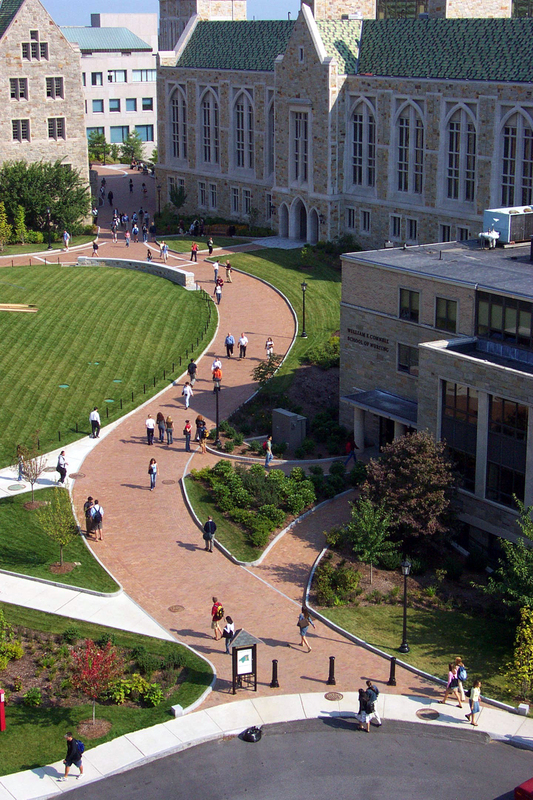 The stair is generously wide to accommodate groups of students, and gathering spots are provided at landings where the stair intersects existing cross-slope paths. 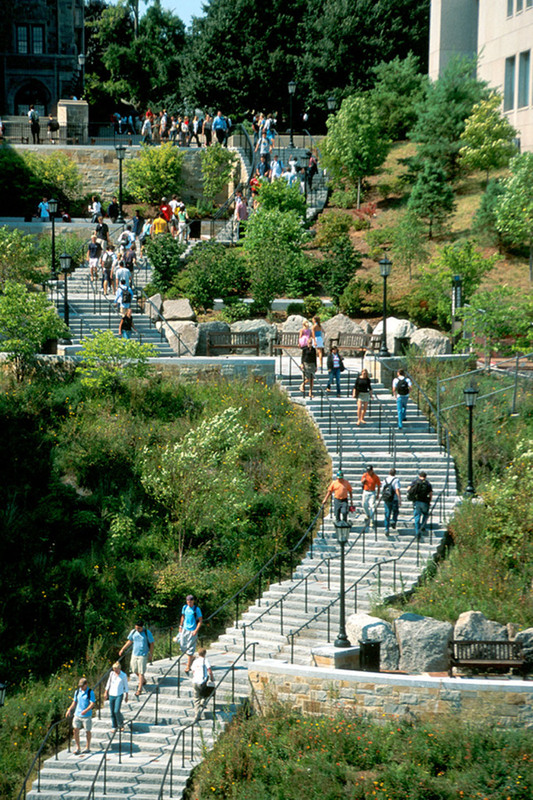 The stair helps to celebrate athletic processions and provides a memorable spot for group photographs. 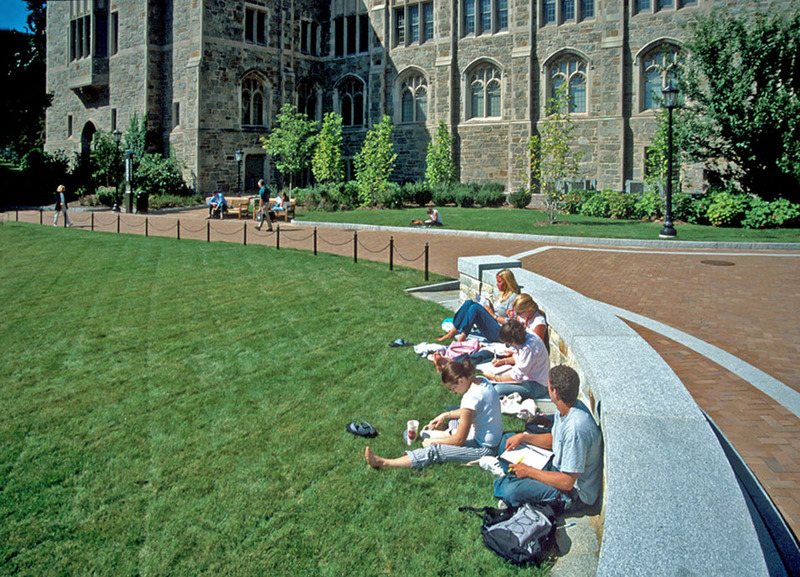 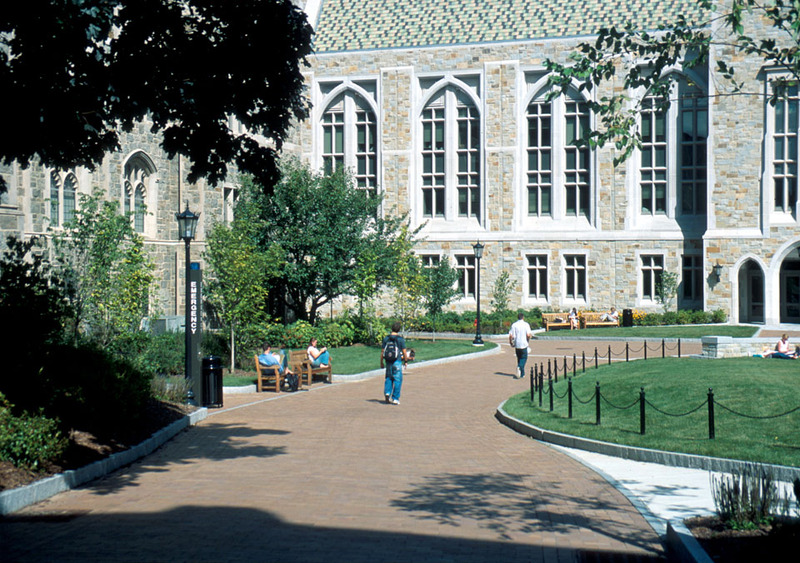 Boston College’s collegiate Gothic architecture and bucolic setting are reflected in the use of curvilinear walks and stairs. 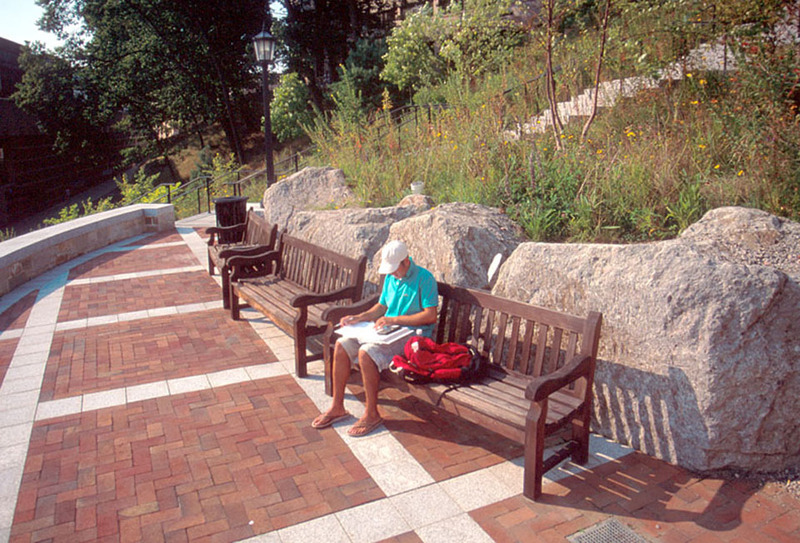 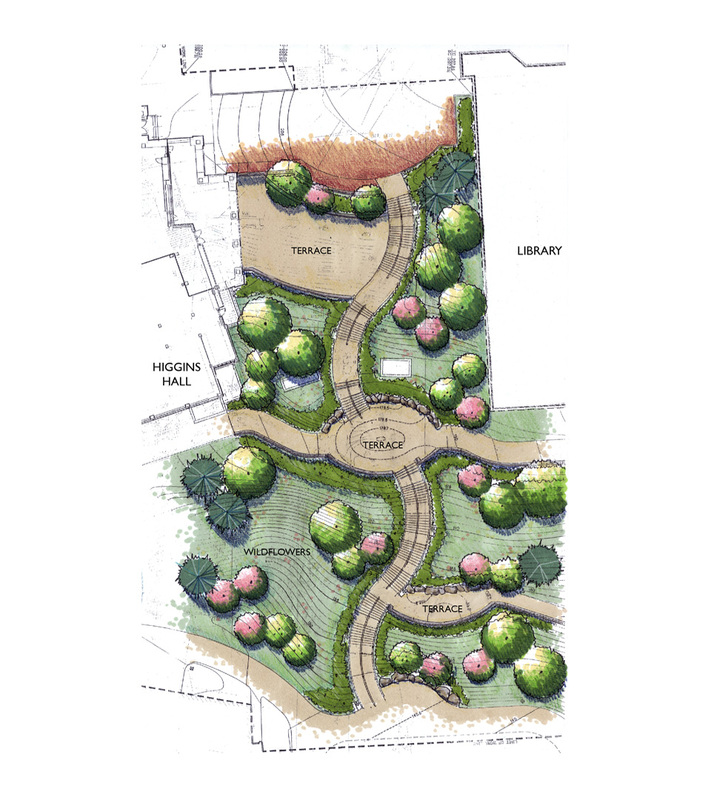 Low maintenance informal native plantings and stone seat walls enclose terraces to give the stairway a distinct identity as a new campus meeting place.